NewForm Kitchen is a premier design company that offers beautiful interior design and high-quality cabinets for kitchen, bathrooms, and more. Our styles range from sleek, contemporary cabinets to beautiful, traditional styles. Visit our kitchen showroom in Anaheim to check out the latest creative designs. Recently, NewForm Kitchen moved to a new, more convenient location. Our new kitchen showroom in Anaheim is located inside of Azzari Design, a large home design center. For the ease of our amazing clients, the Azzari Design center is located in an area in which, depending on where you are departing from, visitors can either take the 5 freeway or the 57 freeway. In Anaheim, many other cities, such as Irvine, Newport Beach, Santa Ana, Orange, Costa Mesa, Laguna Beach, Fullerton, Tustin, Orange, Yorba Linda, and more, located in Orange County, surround us. For many years, NewForm Kitchen has provided Southern California with a wide variety and super quality selection of kitchen and bathroom cabinets. Our kitchen cabinets are elegant and cutting edge depending on what the overall aesthetic of your home is. Whether you are interested in a European inspired kitchen, with ornate wood and gorgeous, high-quality marble or if you are considering a more contemporary look, we have everything. You can visit our kitchen showroom in Anaheim and to have the chance to look, touch, and truly experience what your dream kitchen will be like. Each kitchen cabinet we create is built by experts who have been constructing cabinets for years and only use the best quality materials. We know that your kitchen can be the focal point of your home and it is where you entertain guests, where your children visit everyday, and where you and your spouse share quality time. The kitchen is actually one of the most used rooms in most American’s homes today. 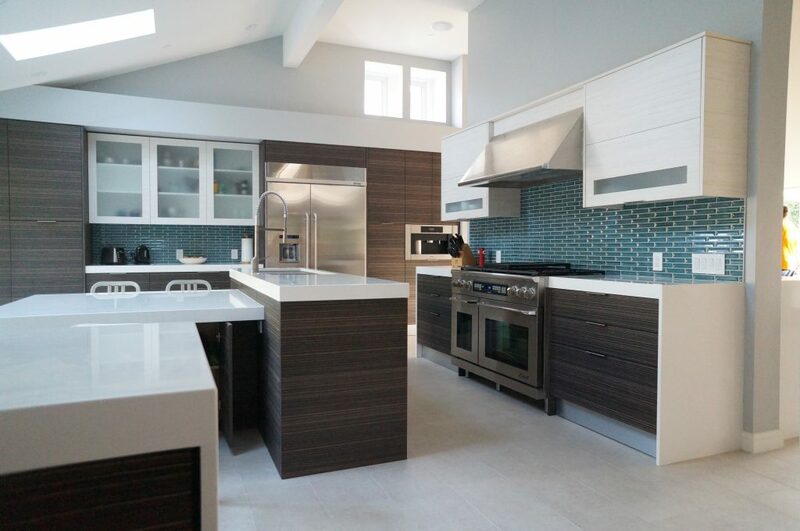 A team of interior design experts leads our kitchen showroom in Anaheim and skilled, creative individuals who can help you craft your perfect kitchen today. Are you considering remodeling your kitchen and wondering how big of a kitchen island to plan for? Have you been wondering how you can create more storage space in your kitchen while maintaining a stylish atmosphere? The experts at our kitchen showroom in Anaheim have the experience and the industry knowledge to guide you through the process of designing a kitchen that is both functional and eye-catching. We know that it can be rewarding when friends and family comment on your amazing new kitchen and the beautiful, handmade, high quality cabinets that will stand the test of time and general wear and tear. Our new kitchen showroom in Anaheim will provide you with an accurate idea of what your new kitchen will be like. To learn more about NewForm Kitchen and our kitchen showroom in Anaheim please call 949-650-1472 or visit our website.